Stand up and salute the All-American Steakburgers. 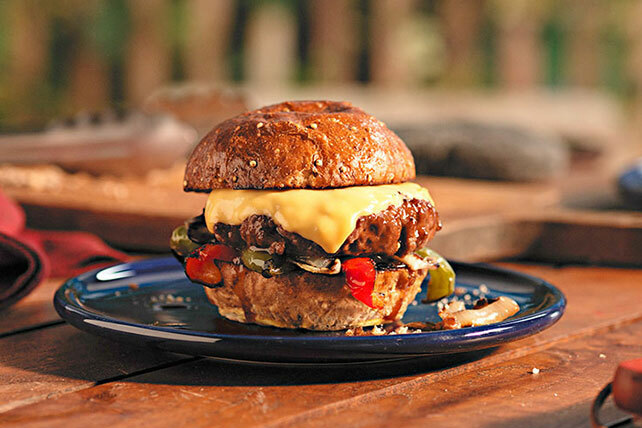 These cheesy steakburgers are topped with grilled vegetables and served on whole wheat buns. Substitute a yellow pepper for the green pepper. Place buns, cut-sides down, on grill grate. Grill 1 to 2 min. or until toasted.